Our 17th year of Free Education Sessions in Orlando. The bottom line to date is; "the possible is presently impossible without transformative change, but the map of the possible is leading rapidly to help define the needs of that Transformative change that is now required everywhere in our industry." I am extremely pleased with the industry support I have receiving helping me define "the possible of connected buildings" this clear definition of the possible is helping us all define the transformational change we all need to make. The possible expands daily as we better understand the change upon us. An education session and discussion; led by industry experts about how we need to approach the engagement of our only true asset our people and make transformative change part of their and our lives and use the resulting feedback to create self learning cultures for our companies. We will build on last years session in Chicago, “Addressing the Skills Gap”, Understanding that People are our only Asset, an education session. To help grow our only true resource, our people, younger, by reaching out to youth with messages about our vibrant, vital and rewarding industry. Organizations need to attract talent before they graduate; whether working on a two or four year degree, students need to be introduced to this field early on. Through internship programs, they can gain an understanding of the field and whether this is right for them. The knowledge shift required for the IoT will be discussed. Paul Oswald Environmental Systems, Inc., Jim Sinopoli our contributing editor, and Ken Sinclair will discuss the problems and skills needed to address the skills gap. For insight on this session Paul speaks to how we need to refocus on our only asset our people, work on bridging the skill gap and growing new talent. An education session led by industry experts exploring data driven decision making and introducing the new value added with Occupant Engagement in increasing comfort and productivity. Discussion of the evolving new industry measured variables of "satisfaction" and "happiness" now with feedback from social media and data analytics. This session will also explore what we might find on the road to self-managed buildings. This is bound to be a fun informative session that will include the daily evolution occurring in Jim, Brad, and my world's. It is not a meeting, it is an education session and discussion led by industry experts about how we need to approach creating and selling connection to the world. An open fun Collaboratory atmosphere come learn and share your opinions. The concept of connection communities was created by Marc Petock and Ken Sinclair in Chicago at the AHRExpo 2012. We were searching to find words that described the communities who are working together and fueling new ways to extend the value of our building systems while exploring the best of breed in change and innovation. This review of our Third annual Connection Community Collaboratory Chicago will help you understand was hosted by AHRExpo and moderated by AutomatedBuildings.com Videos by ControlTrends.org capture the wisdom and insight. 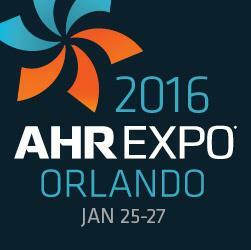 We are extremely pleased that the folks at AHR Expo provide AutomatedBuildings.com the annual venue and industry provides their people and support for our free education sessions. Thanks to all, you truly understand a collaboratory. Please help us promote these free education sessions by posting on your social media.